Thank you to our continued Sponsors – Standard Bus Contracting & Yukon Beringia Interpretive Centre! 2017 March FAM Tour a Success! The Yukon Convention Bureau and Kwanlin Dun Cultural Centre are excited to present our annual Bravo & Golden Bravo Awards. The Bravo awards celebrate the dedication and hard work of those who hosted a successful conference in the Yukon. Please join us as we announce this year’s winners on Thursday February 16th, from 5 to 7pm, at the Kwanlin Dun Cultural Centre. Stay after the awards and enjoy live entertainment by Fawn Frizten. This year promises to be a great event, with food, drink and new & familiar faces from our local business and tourism community. We look forward to seeing you on the 16th at Kwanlin Dun Cultural Centre! We’re getting ready for our 13th Annual Red Carpet Tour – on Wednesday November 23rd. 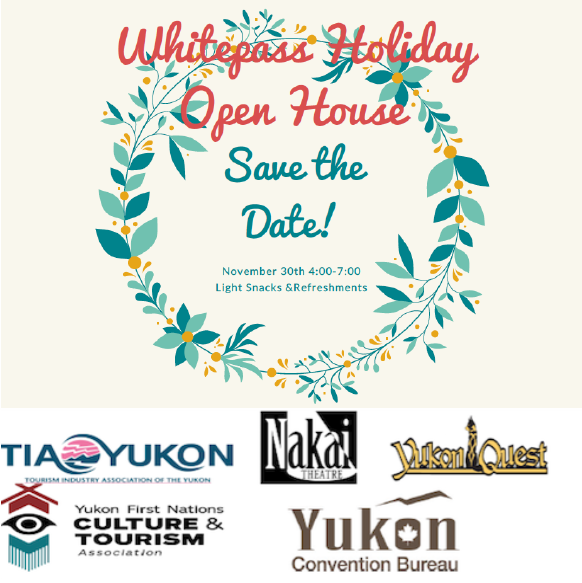 If you are planning a local meeting or conference in the Yukon, this is for you! 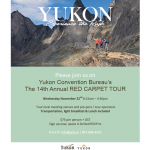 On the Red Carpet Tour you’ll visit meeting facilities and services that are available in the Yukon. It’s a fun & informative day that provides you with the tools to make your event a success. Space is limited, so sign up now and join in the fun! Email info@ycb.ca for your registration form! Air North, Yukon’s Airline has added a additional flight to its Yellowknife/Ottawa route for the summer beginning June 13th through Sept 16th, 2016. This is in addition to their regular scheduled flights to Yellowknife/Ottawa, departing Whitehorse Sundays and Thursdays, returning the following days, at the same times (as above). They have put their best fares on the new dates added – Check it out!! Times are Changing at YCB! Today is Mike Collins last day at YCB. Please change his contact to sales@ycb.ca. After 3.5 years, we are sad to see Mike move on. As many of you know, he was a great asset to the YCB team and Yukon, and we wish him all the best with his future endeavours in Vancouver. YCB has found a new face for our Sales Manager position, Gina Bethell. Many of you many already know Gina, from her role at TIA and with the TCMF and YTTF programs. We are very excited to have Gina join our team, to sell the Yukon for meetings, conferences, incentives and events. Gina will be starting with YCB as of May 1, 2015. In the meantime, please forward all YCB inquiries to myself at alida@ycb.ca. The Yukon Convention Bureau and Kwanlin Dun Cultural Centre are excited to present our annual Bravo & Golden Bravo Awards. The Bravo awards celebrate the dedication and hard work of those who hosted a successful conference here in the Yukon. Join us as we announce this year’s winners on Thursday February 27th, from 5 to 8pm, at the Kwanlin Dun Cultural Centre. Stay after the awards and enjoy live entertainment in KDCC’s new and improved longhouse. KDCC’s new acoustic renos, make a world of difference in sound quality when hosting your meeting or event. This year promises to be a great event, with food, drink and new & familiar faces from our local business and tourism community. We look forward to seeing you on the 27th at Kwanlin Dun Cultural Centre! 11th Annual Red Carpet Tour – Sign up now! Join us Wednesday November 26th, 8am-5pm for a day of fun! 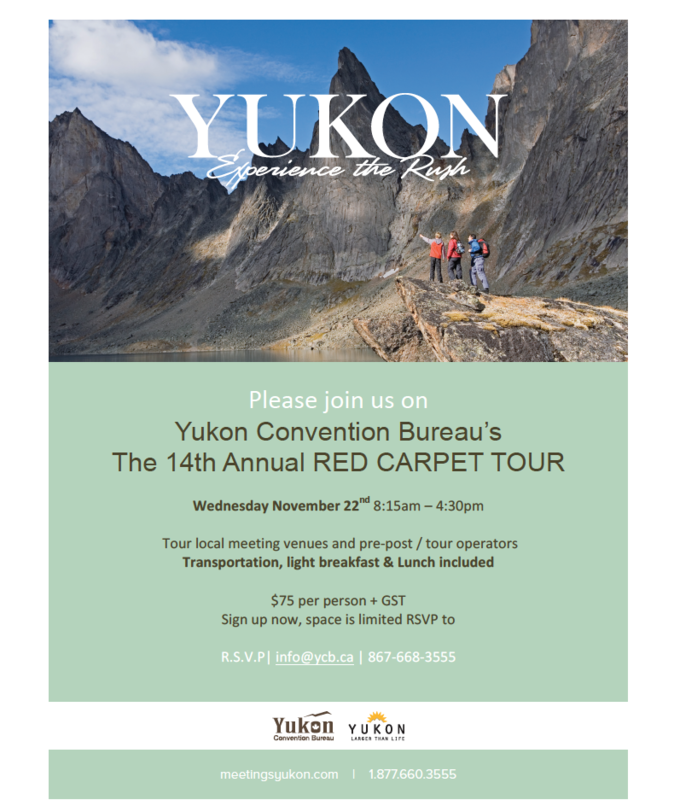 The Yukon Convention Bureau’s Red Carpet Tour offers local meeting & event planners an opportunity to see first hand, the meeting & event venues and products available locally. Participants on the Red Carpet Tours are frequently amazed by the quality and variety of services being offered. It seems to be a common situation that residents are unfamiliar with the services in their own neighbourhood. This year we will visit local museums, venues and hotels to view various meeting and conference spaces available. 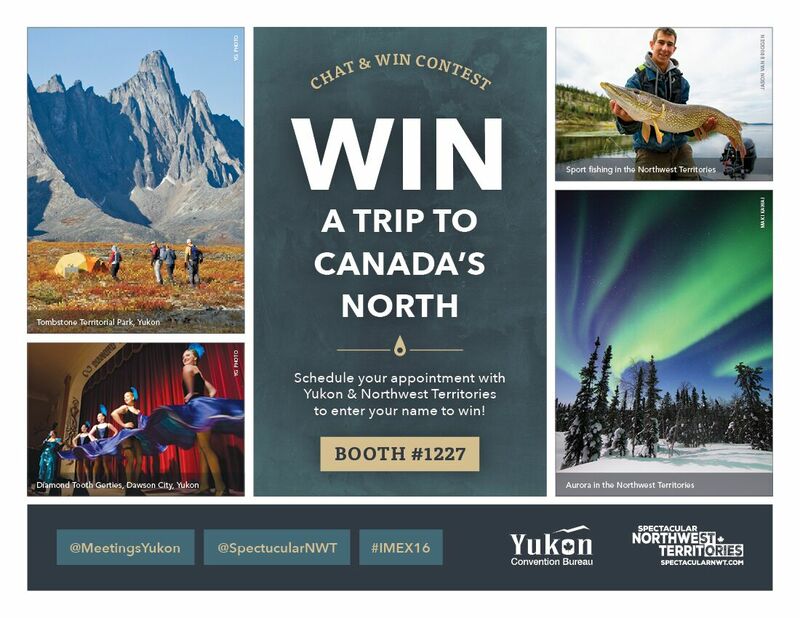 We will also visit a few local tour operators to showcase options for activities and entertainment for your event delegates visiting the Yukon. Continental Breakfast, lunch and door prizes are all part of the fun! Cost: $50 – email/call to register or for more information. 2014 Fall FAM Tour a Success! Your continued support and participation with YCB is a necessary part of our success! Team YCB along with our friends from TIA Yukon, will be touring throughout the territory July & August for our annual membership tour. This is your opportunity to tells your thoughts on industry trends, whats new in your operation and how YCB can further support your business success. Watch for us July 24 & 25, when we will be in Carcross, Atin and Teslin areas. For more information on how to meet with us in your area call 867-668-3555 or email at alida@ycb.ca. See you soon! 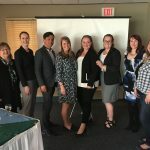 The Yukon Convention Bureau (YCB) held its 10th Annual Bravo Award and 15yr Anniversary Celebration, sponsored by NVD Hospitality Division & Leaf Solutions, Thursday Feb 27th, at the Coast High Country Inn. YCB’s Bravo Award is in recognition of Yukoners, who have worked to bring meetings and conventions to the Yukon and who encourage local organizations to host meetings here at home. 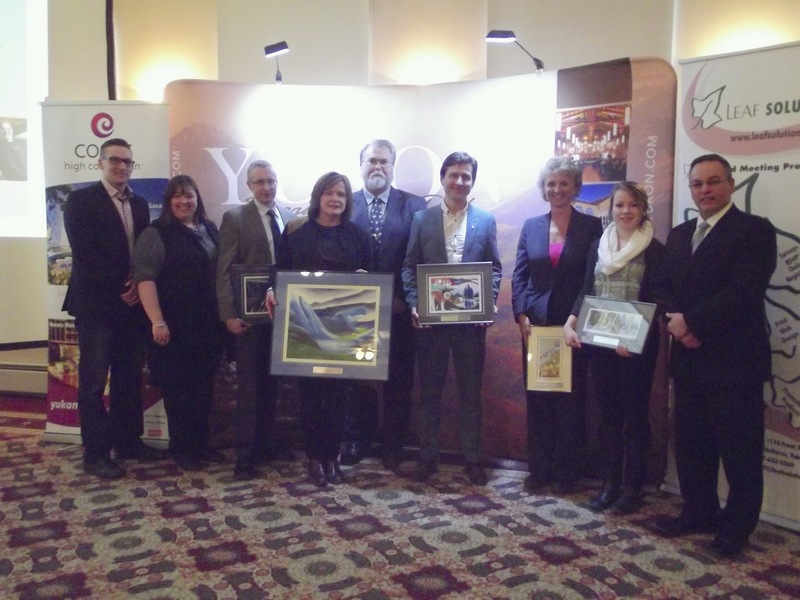 This years Bravo Award was presented to the 2013 Canadian Museum’s Association Committee for their significant efforts with their May 27-31, 2013 event. For our 15yr anniversary, YCB honoured our Gold & Platinum member sponsors who have supported YCB since our inception in 1998. 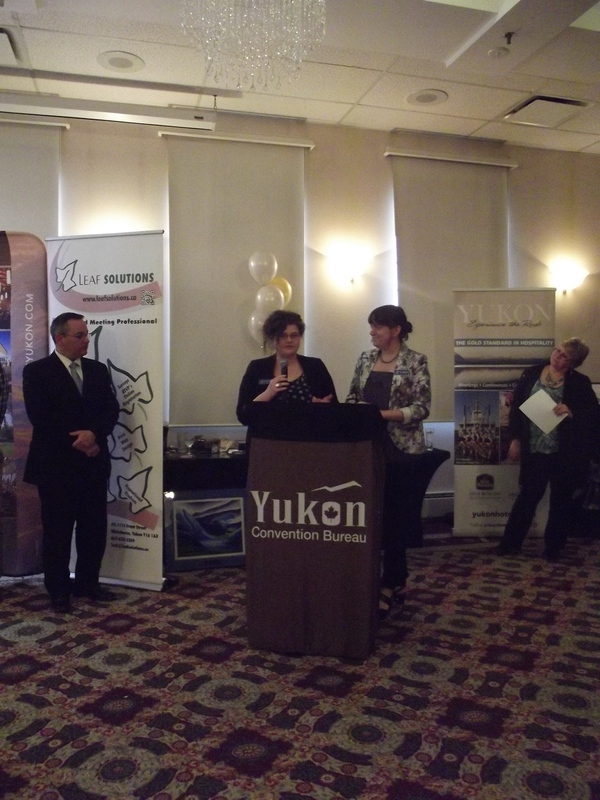 Six Golden Bravo Awards were presented; Gold Sponsors – Westmark Whitehorse, Northern Vision Development Hospitality Division, Northwestel/ Latitude Wireless, Driving Force – Rental, Lease & Sales, CKRW-The Rush and to YCBs only Platinum Sponsor – Air North – Yukon’s Airline. Through their contributions and other YCB members, YCB has generated over $110,000 in 2013. Congratulations and thank you to each of this years winners! 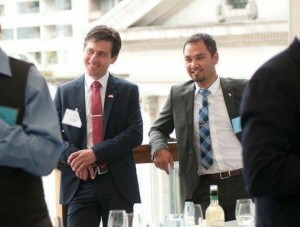 YCB in Ottawa to Celebrate Air North’s – Yukon’s Airline new service routes! 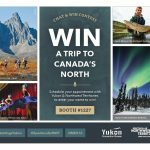 The Yukon Convention Bureau (YCB) and our Yukon tourism partners, will be traveling to Ottawa in celebration of Air North –Yukon’s Airlines, new service to Ottawa and Yellowknife. February 3rd to 6th, YCB will be hosting and attending a week of events in Ottawa – with host partners Government of Yukon, Yukon Department of Tourism & Culture, Sport Yukon and Air North – Yukon’s Airline. 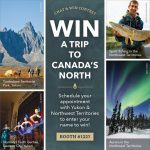 The week of Yukon celebrations and activities will wrap up with the arrival of Air North’s – Yukon Airlines, inaugural flight into Ottawa, at the Ottawa Macdonald-Cartier International Airport. 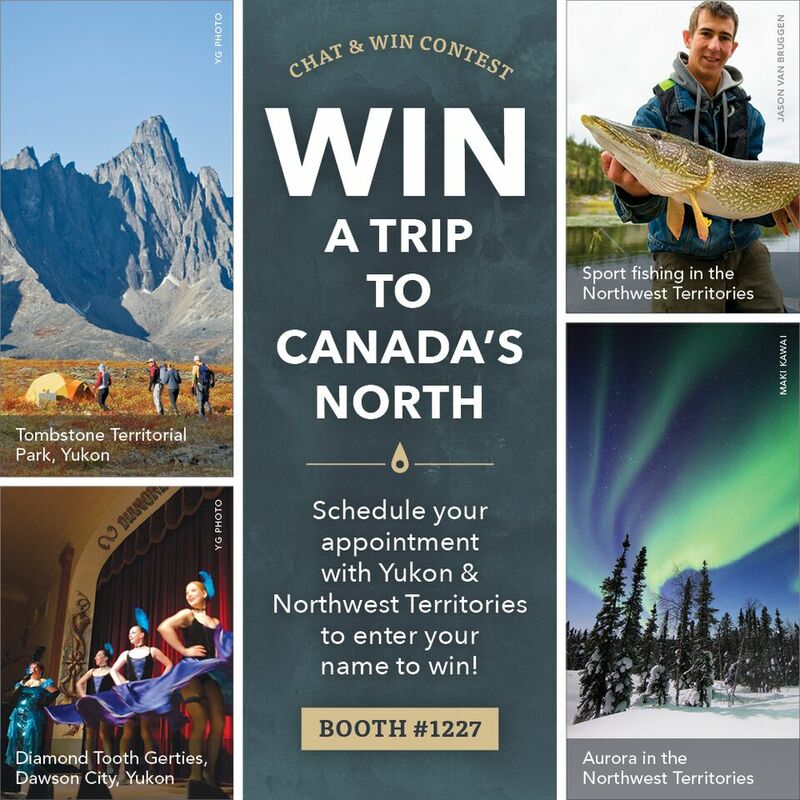 This week will offer the Ottawa market a chance to experience and learn what the Yukon offers to leisure, sport and business travellers, year round. February 4th to 6th YCB will also be conducting sales calls and attending the annual Tete-a-Tete (TAT) trade-show. TAT, is the Canadian Society of Association Executives, Ottawa Chapter, annual trade-show, attracting over 650 Ottawa based, Executive Directors and association event planners. 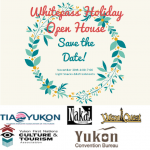 YCB will be joined by partners from Yukon’s Meeting/Conference industry; the Kwanlin Dun Cultural Centre, Northern Vision Development Hotel Division and the Westmark Whitehorse. The YCB team will also be attending Meeting Professional International fundraiser gala and auctioning off an all-inclusive vacation to the Yukon. The annual gala fundraiser, draws over 700 guests, and raises funds for Ottawa Schools Breakfast Program. YCB’s primary target market is Ottawa, with both associations and federal government head offices. 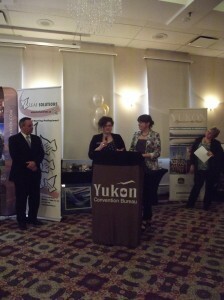 These markets generate a significant amount of business in meetings and conferences, each year in the Yukon. The new service will further establish Yukon as an attractive, accessible and affordable destination for the meeting & incentive travel market. Air North’s move is very exciting and a strategic step in successfully opening the Yukon to the businesses in our nation’s capital. As a long time, dedicated partner and corporate sponsor of YCB, we would like to congratulate Air North – Yukon’s Airline, on their new route and wish them every success in their new market. Sign up now! 10th Annual Red Carpet Tour! Michael van Aanhout, Chairman, Stratos Inc.
Don’t miss the Northern Networking Exchange! This afternoon event will be open to the public, and give everyone—across education, skill, and interest levels—an opportunity to exchange ideas and connect for the future. Exhibition space will be offered giving local and national organizations the opportunity to showcase their northern operations. If you are interested in exhibiting please contact Joel directly at the information below. Contacts of the Institute Save on Registration! What’s the Value of your Event? YCB’s Economic Impact Calculator – a free and easy tool! 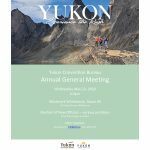 Are you hosting a conference or meeting in the Yukon? Find out your economic impact value to the Yukon with one easy step – contact us! All you need is the event dates and number of delegates. Our staff can provide you with a dollar value in seconds – it’s that easy. Why get your Economic Impact Value? Your economic impact value can be of importance for a number of reasons – but the number one reason- is to establish the positive impact your event has on Yukon’s economy! Your events’ economic impact value can also be used to generate sponsorship, establish the events success and for press and media pursposes.